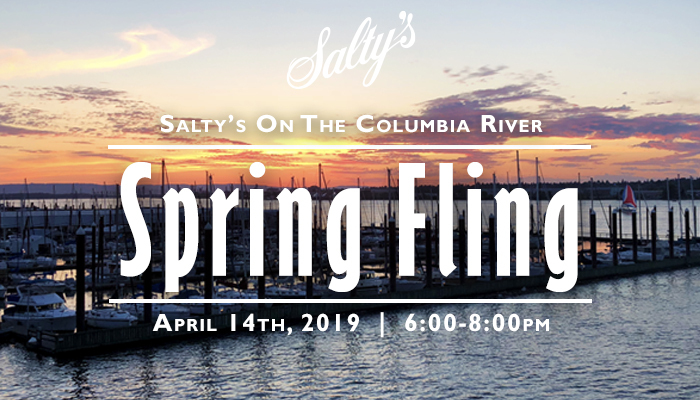 Salty’s on the Columbia River has invited local wineries to join us for a night of tasting and company. Please, come enjoy this reception style event in our upstairs North Shore View Room with sweeping views of the Columbia River Sunday April 14th, 2019 from 6:00-8:00pm. Taste Reds, Whites, Bubbles and delight in our custom menu to pair with this exciting evening. Discount wines will be available to purchase for future pick up, so take advantage and stock your wine cellar for the summer! Call to reserve your spot now! The price is $60 per person. Call to make you’re reservation! We’d love to see you!